Are you saving money for a down payment on a house? Then you may be wondering how to get through the holiday season with some money left in your pocket. It’s so easy to overspend this time of year, especially when you want to show your loved ones how much you care about them. Some of us are especially guilty of overspending with our children! I hope you find the following ideas helpful to assist you in spending your well-earned money wisely this holiday season! Does it feel like your shopping list gets longer and longer every year? 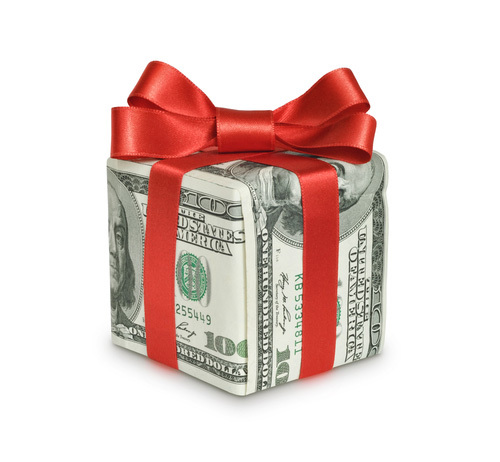 Are you exchanging gifts with other adults that are about the same value? Maybe it’s time to establish some guidelines. While it’s always fun to give gifts to children, it could be time to eliminate gift-giving among adults. If you feel like others may feel the same way, you can suggest not exchanging gifts this year. You may be surprised by how grateful others are to save the money, effort, and stress. If you still would like to exchange gifts this holiday season, consider making a donation to a favorite charity. That will allow you to help a great cause and still feel the joy of giving! While it’s easy to pull out that credit card during the holidays if you feel financially overextended, don’t. Not only will you be paying the amount of the gift, you’ll also end up owing extra for interest. If you’re able to pay off the balance in full on your next statement, then using your card isn’t a big deal. If you’re not able to pay it all off immediately, keep the credit cards at home and use your debit card or cash to pay for holiday gifts. Using your debit/bank card or cash will of course simply allow you to only spend what you earn.